Program will show after airing. Memory Text: “Great and marvellous are thy works, Lord God Almighty; just and true are thy ways, thou King of saints” (Revelation 15:3). Memory Text: "At that time Michael shall stand up, the great prince who stands watch over the sons of your people; and there shall be a time of trouble, such as never was since there was a nation, even to that time. And at that time your people shall be delivered, every one who is found written in the book’ ” (Daniel 12:1, NKJV). Memory Text: “So the great dragon was cast out, that serpent of old, called the Devil and Satan, who deceives the whole world; he was cast to the earth, and his angels were cast out with him” (Revelation 12:9, NKJV). Memory Text: "Then I saw another angel flying in the midst of heaven, having the everlasting gospel to preach to those who dwell on the earth—to every nation, tribe, tongue, and people” (Revelation 14:6, NKJV). Memory Text: "For false messiahs and false prophets will appear and perform great signs and wonders to deceive, if possible, even the elect" (Matthew 24:24, NIV). Memory Text: “He will speak against the Most High and oppress [H]is holy people and try to change the set times and the laws. 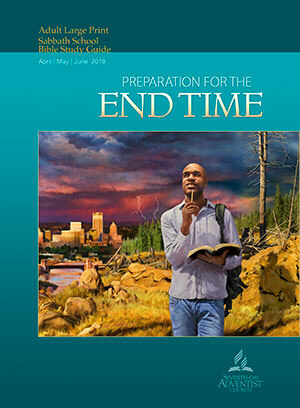 The holy people will be delivered into his hands for a time, times and half a time” (Daniel 7:25, NIV). Tuesday (CA Murray): From Sabbath to Sunday? Memory Text: “The king answered Daniel, and said, ‘Truly your God is the God of gods, the Lord of kings, and a revealer of secrets, since you could reveal this secret’ ” (Daniel 2:47, NKJV).